This fascinating valley is the religious heartland of the nation & home to some of the oldest Buddhist temples & monasteries. Its gentle sloping hills offer plenty of walking opportunities to the many temples that dot this valley. The valley is also famous for its production of honey, cheese, apple &yathra- a woolen material that has multiple uses. 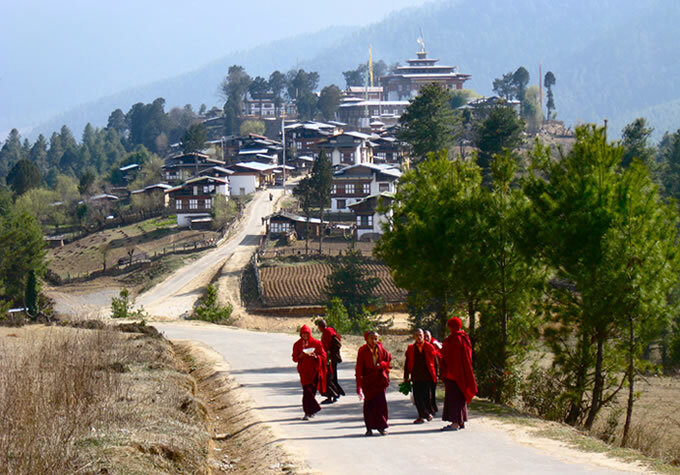 "Bumthang" directly translates as "beautiful field" – "thang" means field or flat place, and "bum" is said be an abbreviation of either "bumpa" (a vessel for holy water, thus describing the shape and nature of the valley), or simply "bum" ("girl," indicating this is the valley of beautiful girls). 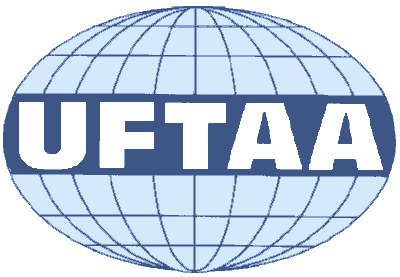 The district is sub-divided into the four blocks of Chokhor, Chumey, Tang and Ura. The valleys are broad and gentle carved by the ancient glaciers. The wide and scenic valleys draws a large number of tourists each year. It's one of the 108 monasteries built by King SongtsenGoenpo in the 8th century to subdue evil sprits in the Himalayan region. KurjeLhakhang is located just a few meters beyond JambeyLhakhang. It is dedicated to the saint Guru Padmasambhava who was supposed to have meditated there in 8th century. This monastery lies on the other side of the river opposite the KurjeLhakhang. It was built in 1501 by TertonPemaLingpa, a re-incarnation of Guru Padmasambhava.The temple was restored at the end of the 19th century. 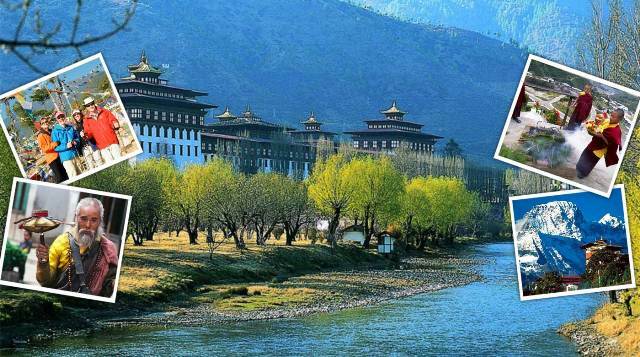 The Dzong was initially built as a monastery in 1549by the great grand father of the Zhabdrung. It is now used as the administrative center for the Bumthang district. 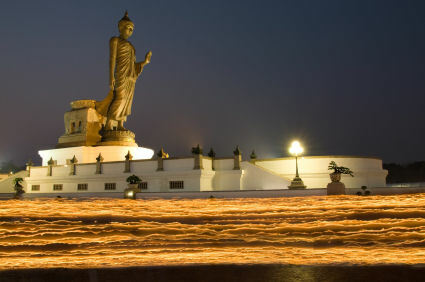 The BumthangTsechu is one of the most popular festivals. It is held mostly at night & is said to bring fertility to any woman wanting a child. Dratsang is a religious institution where monks study and religious ceremonies are performed as well.Thisdratsang is owned and headed by one of the most revered lamas, NamkheNyingpo. This is located just above the main town. This palace was built during the time of the first King’s father,JigmeNamgyel was used by the first King UgyenWangchuk as his main residence. This palace was also used by other kings. Ura lies in the Tang valley, a one & a half hours drive from Bumthang town. The drive is mainly through sheep pastures & along the way one can glimpse magnificent view of the Mount GangkarPuensum from Ura la. The main characteristics of this village is the closely cluster houses. This is a sacred lake of the Bhutanese who believe that PemaLingpa discovered religious treasures from this lake in the 12th century. On auspicious days many Bhutanese offer butter lamps on this fresh water lake. This goempa is located quite far from the main town and there is no road connecting this goempa. 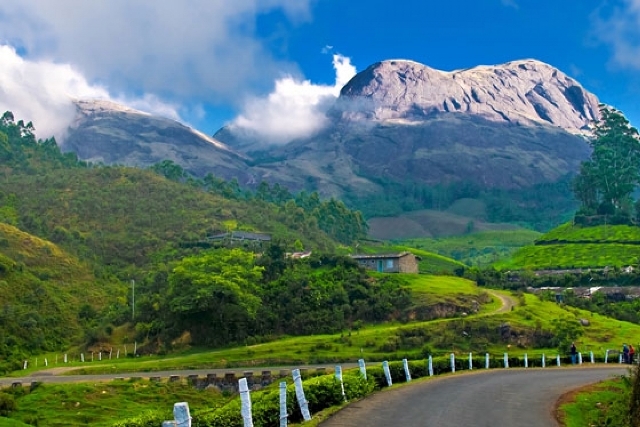 The trek to this goempa would take one day,going up and coming back. One can delight in a walk through the forest of whispering blue pines, enlivened by the murmur of spring-fed brooks wandering through their rock-strewn beds, and the chatter of myriad birds. Visit a nearby village and experience a typical Bhutanese farm and village houses, getting a close look at the art of rural living. For those interested in bird watching, take a moment to discover and learn about different species. In the autumn months, the migrating Black-Necked Cranes migrate from Siberia and come to winter here, where they may be viewed in Bumthang. 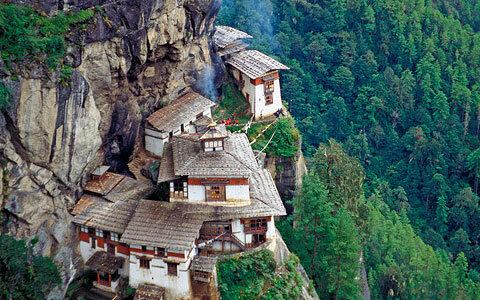 There are a good number of monasteries and historical places that are within walking distance. Your photographic tour begins as soon as you step out of your room, as the valley offers panoramic views that unfold before you.